Fees associated with filing trademark applications in Slovakia as well as other trademark fees are available in the fee calculator. Multiple-class trademark applications are possible in Slovakia. c) list of goods and services. The legalisation or notarization of a Power of Attorney is not required. After filing the application, the Office sets the term for filing the POA; usually, it is two months from filing the trademark application. The Certified Copy of the priority document may be provided within three months from filing the application. If the priority document is not in English the translation into Slovakian is required. The oppositions against trademark registration in Slovakia should be filed within the period of three months from the publication of an application. The trademark in Slovakia is valid for ten years from filing date of an application and may be renewed for ten additional years an unlimited number of times. The request for renewal may be filed at the earliest within twelve months before the expiry of the registration. The trademark may be renewed within six months after the renewal due date. The POA is required. A trademark in Slovakia which has not been used for five consecutive years, preceding the date of commencement of revocation proceedings may be cancelled pursuant to a legal action brought by a third party. For the foreigners, it is required to perform the trademark prosecution in Slovakia through an agent, a registered Slovak trademark attorney. (b) being represented on the Register of trade marks, in a manner which enables the competent authorities and the public to determine the clear and precise subject matter of the protection afforded to its proprietor. 1. Online Search databases: Slovakian Trademarks, EU Trademarks, International Trademarks. 2. 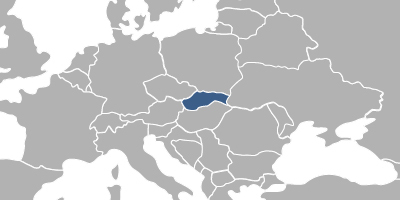 Trademark protection in Slovakia may also be obtained via registration of the European Union Trademark.